This weekend’s upcoming Thanksgiving schedule for Division 1 – our flagship Division. ****Our featured VISL Game of the Week is Gorge vs Vic West in Div 1 League play. 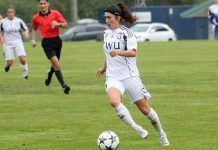 Both teams are undefeated – Vic West has dropped a couple points with a draw earlier this year. Both teams have changed personnel. Both teams have attracted players that previously played for Saanich Fusion & Westcastle. Gorge has some players that played on Vic West last year as well. There will be no shortage of motivation for this game. Vic West has also just today received Riley O’Neil from an inter division transfer. Our Game of the Week will be covered by photographer Jay Wallace from ISN. Photos (and live action) will be tweeted via @vincenzo25 , as well as posted on our website & Facebook page. There will be a game MVP selected post game and he will receive a gift certificate from 1550’s Pub Style Restaurant and a gift from Heineken. We thank our divisional sponsor Team Sales for also making this possible. Support your local community and soccer members – see you at the park.